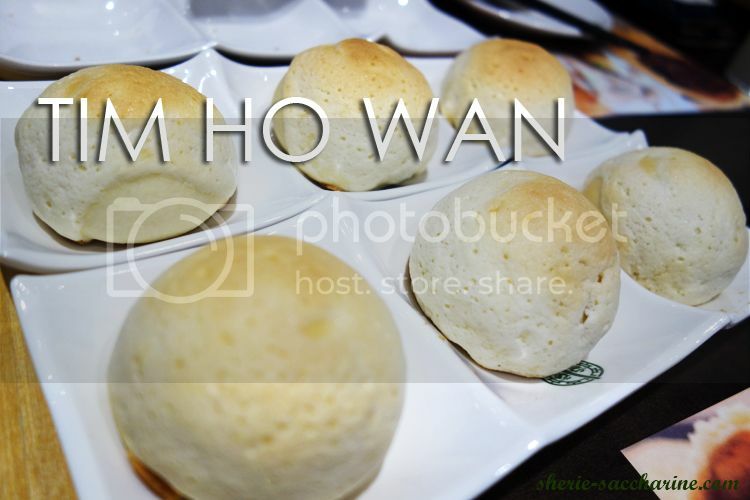 TIM HO WAN Singapore, is it really worth the rave? 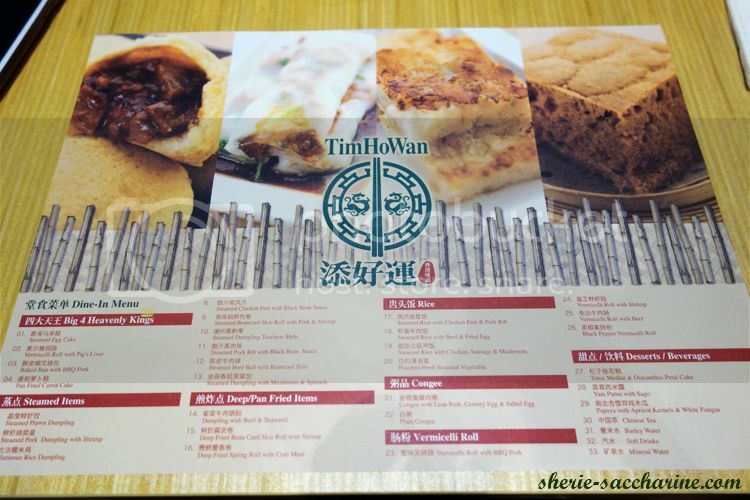 TIM HO WAN, the 1 Michelin Star dim sum restaurant in Hong Kong has finally landed in Singapore, Plaza Singapura! The restaurant is opened by Chef Mak Kwai Pui who is previously from Lung King Heen and Four Seasons Hong Kong. Although I have not been to HK's yet, I have long heard about the popularity of THW back there, with its latest big restaurant in HK which allows you to be seated almost immediately! 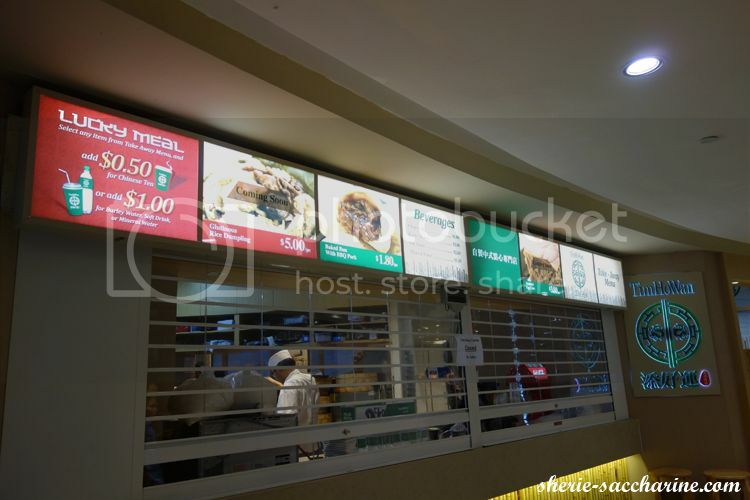 Whereas, in Singapore, in order to have some good or newly raved restaurant, this is what they gonna do. 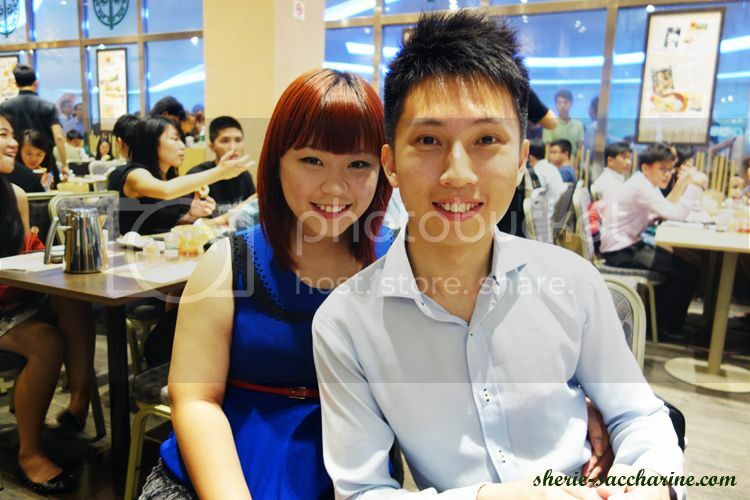 And Yan Wan was like the best friend of the night! 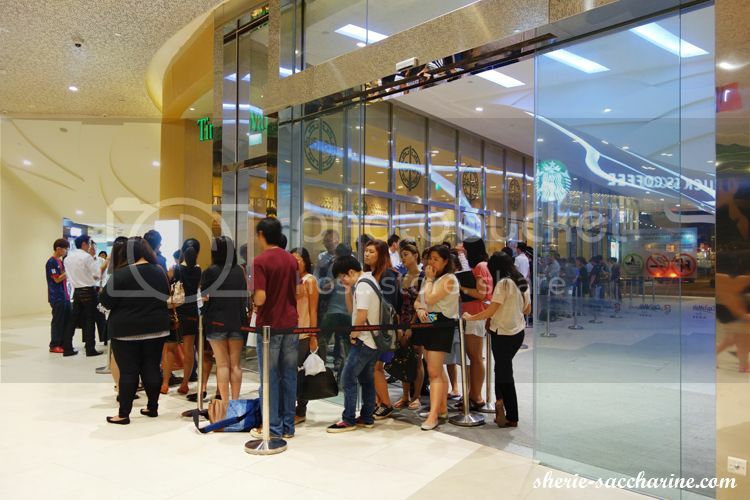 She started queuing for us at 5pm till the rest of us arrived around 6.30pm! Kudos to YW! She heard the waitress told the guy at the tail of the Q at 6pm that he would need to wait up to 2.5 hours! After we are seated, we were greeted with this pretty menu! 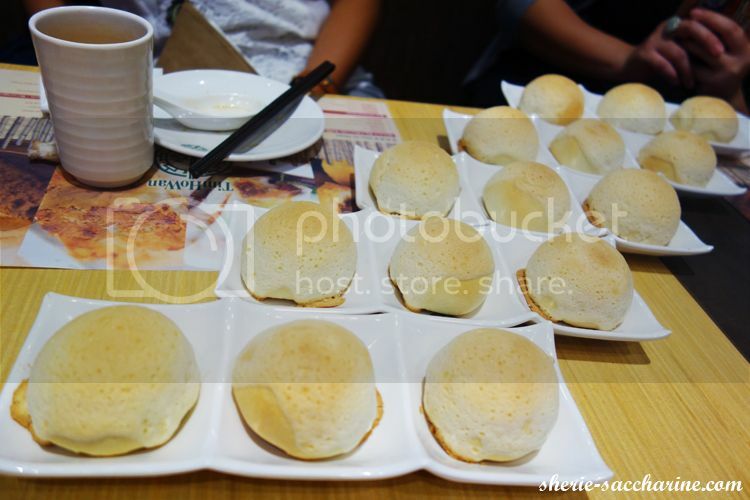 Yet, almost half of them were not served at the moment. 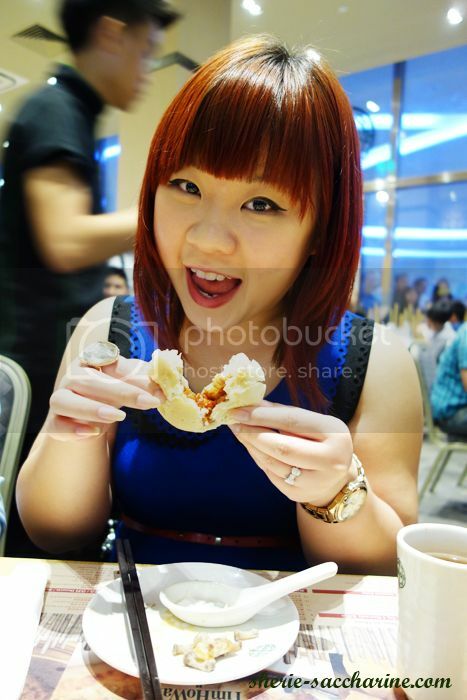 The Carrot Cake, Gultitonious Rice and Gui Hua Gao (heard that this is the boomz in THW!) were already SOLD OUT at 5+pm! Our first order list before Alex arrived. 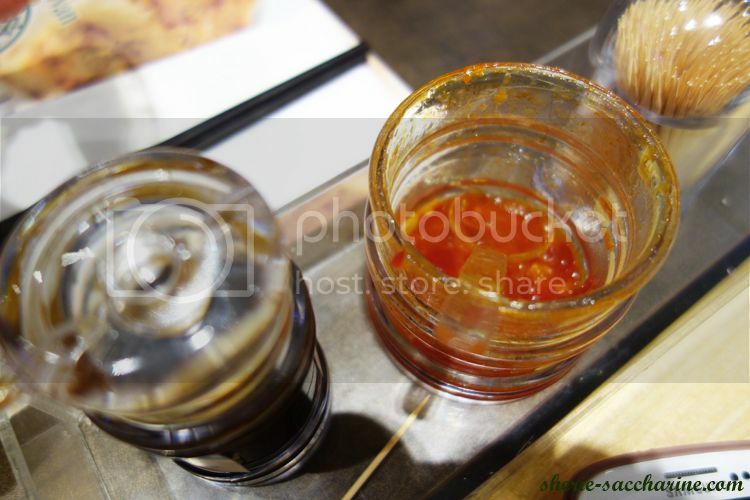 Soya sauce and chili for the dim sum. 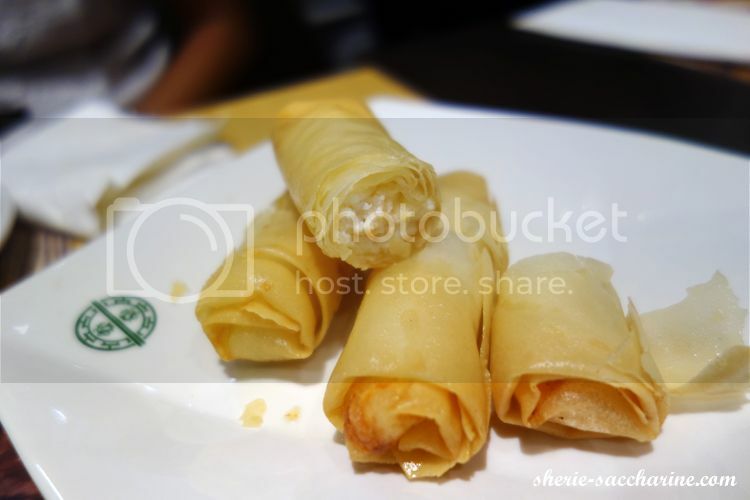 Alex, Beilin and I weren't fans of these as we thought that the dim sum were good on its own! 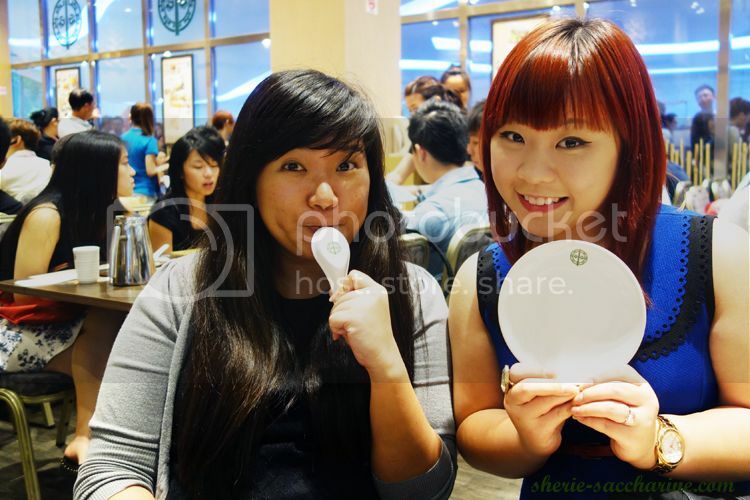 Whereas Sarah and YW likes the chili that tasted like those you eat at Teochew Porridge stall. 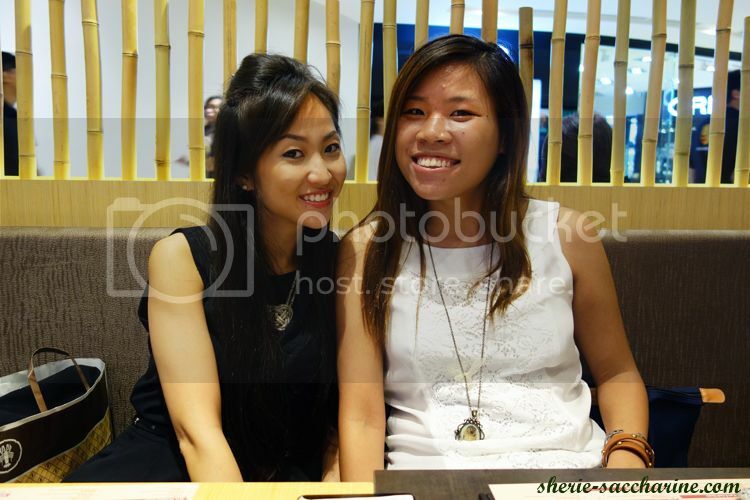 We occupied ourselves with several camwhoring session before the food was served. 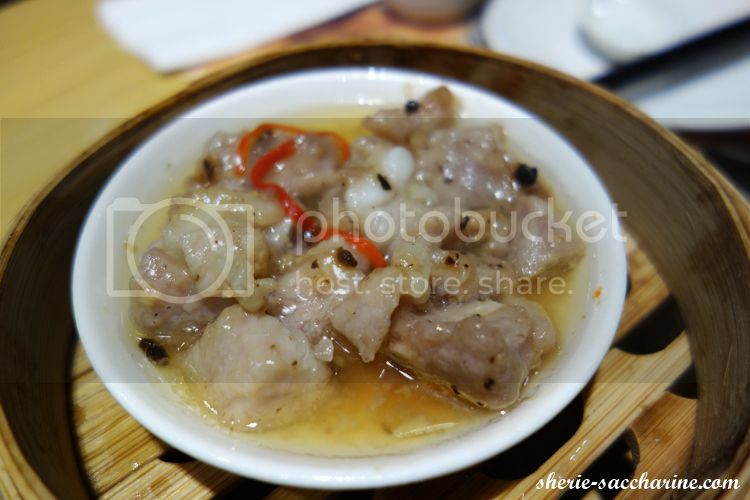 Solid chunks of pork (boneless) that has a sort of chewy texture that is similar to Teriyaki chicken. Not too salty and I like it! Sarah and YW favourite! 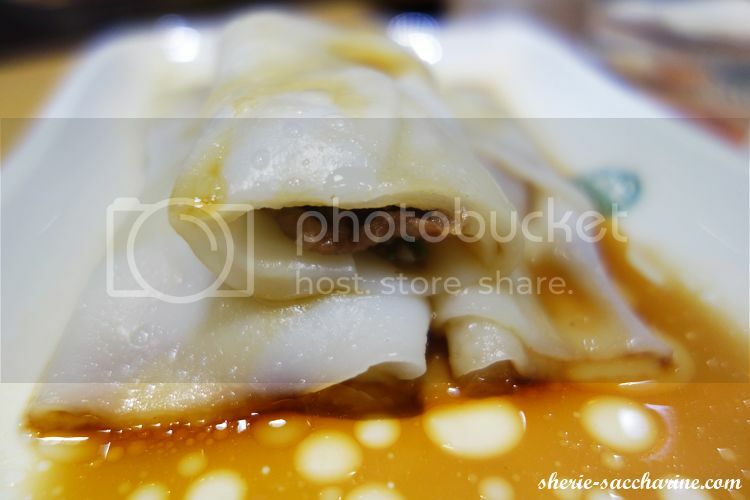 The siew mai was filled with fresh ingredients such as QQ shrimp, minced pork and sliced mushrooms. 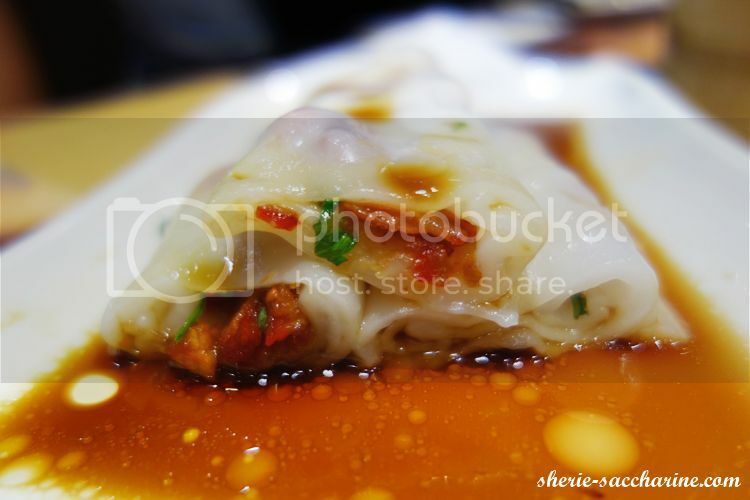 You may skip this dish as we thought that it is mediocre and the fillings were not as flavoursome as the other dishes and the beancurd were not complementing very well with the fillings. 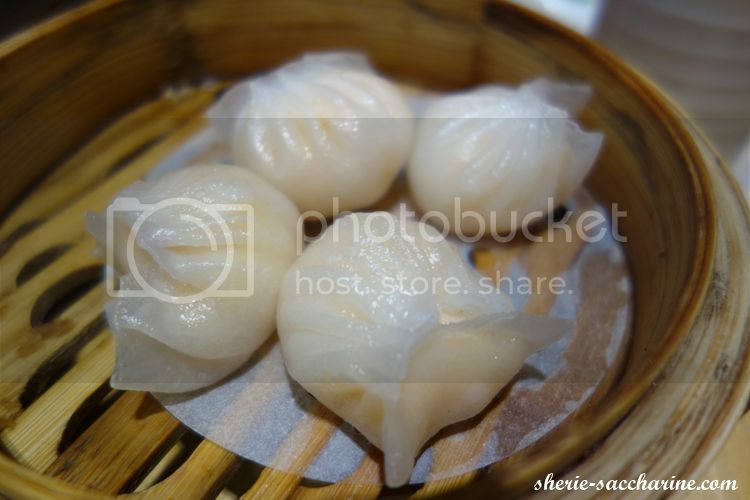 Beilin's favourite dim sum of all time! 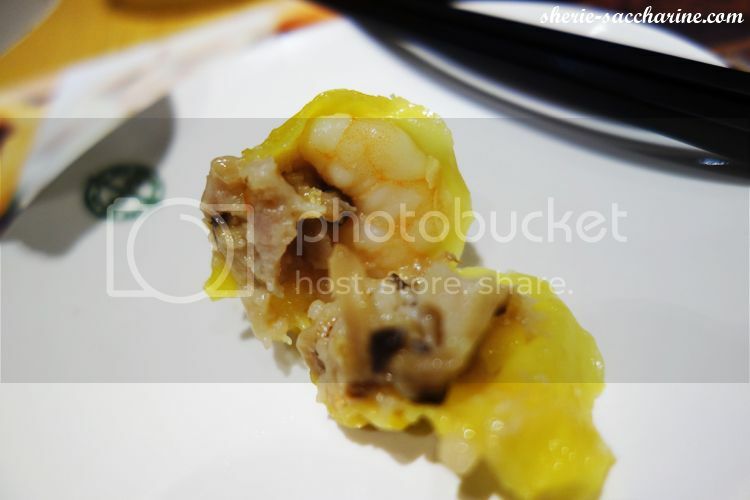 Fresh chunky prawns were used to fill in the thin QQ crystal skin. 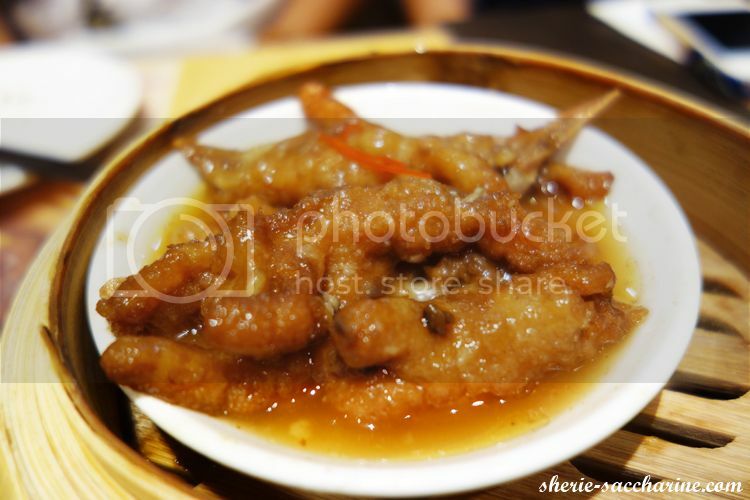 Alex always order this dish at dim sum places, and he has definitely has tried better chicken feet at other restaurant. But I like how doneness of the feet has allowed me to pull of the collagen off the bones effortlessly! 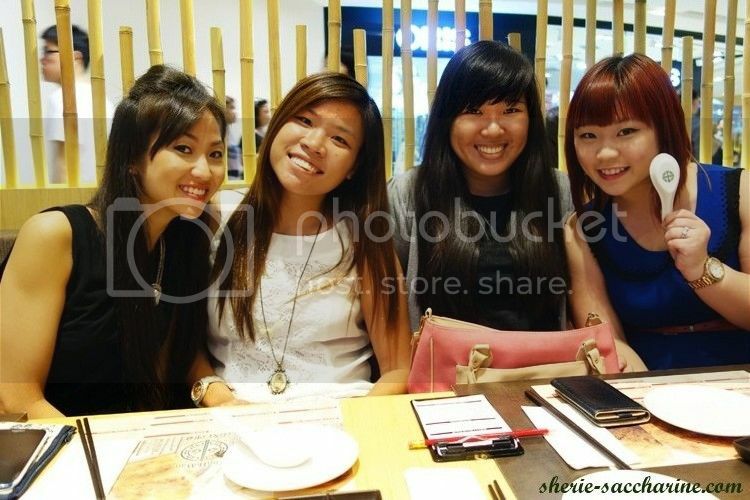 One of THW's 4 Heavenly Kings! All buns were baked upon orders for 10 whole mins. 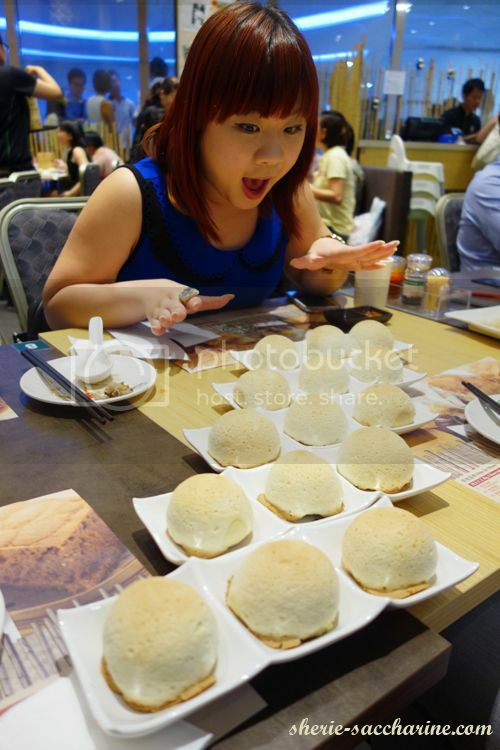 The skin of the bun tasted and has the texture of HK famous Po Lou Bao and it smells like Singapore's Cha Siew Su. Record of the night: Belin and YW had 3 each, Sarah had 2 and Alex &I had 3.5 buns each! OMG! 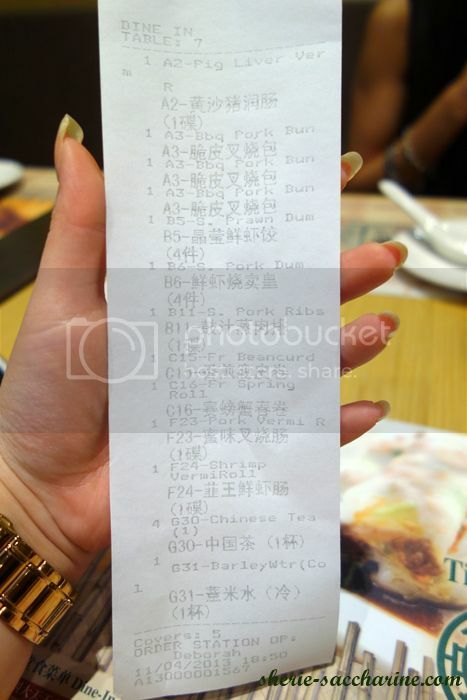 We ordered a total of 9 sets (27 buns) including takeaway and I was shocked by the numbers we ate! 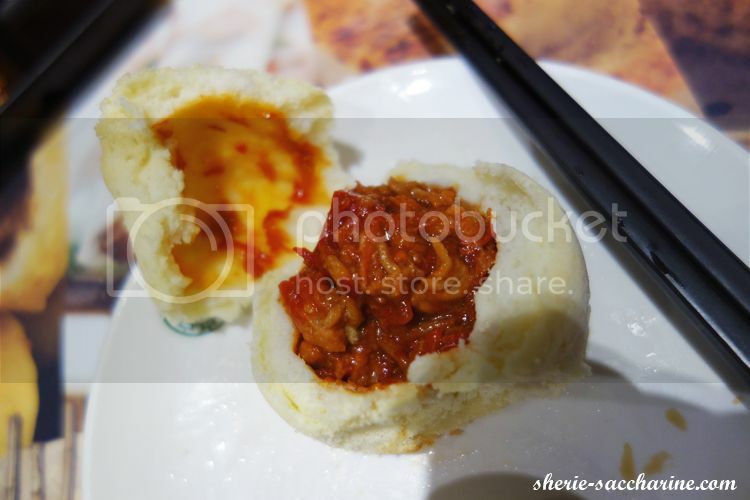 Tasty cha siew fillings inside the skin that is more suitable to be termed as "crust"! 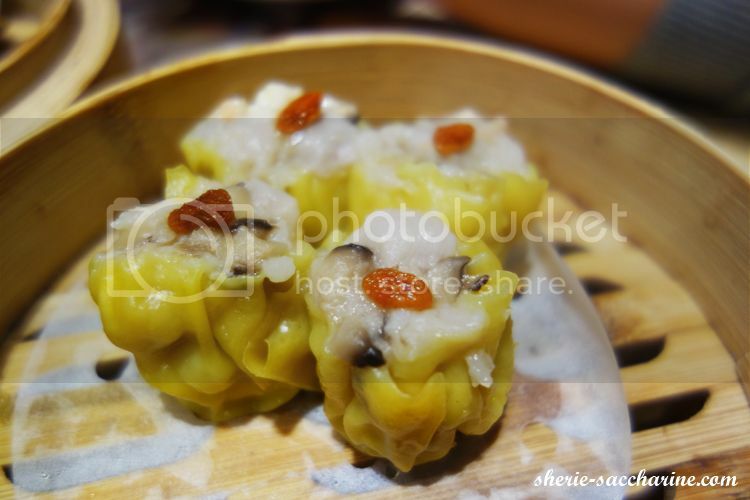 Beilin's favouritest dim sum from HK to Singapore! 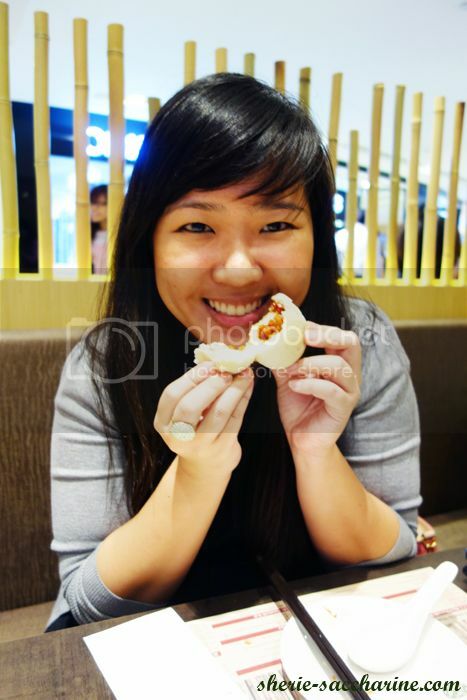 But she prefer the taste back in HK. Can't wait to kill my anticipation and enjoy my first bite of the heavenly king. 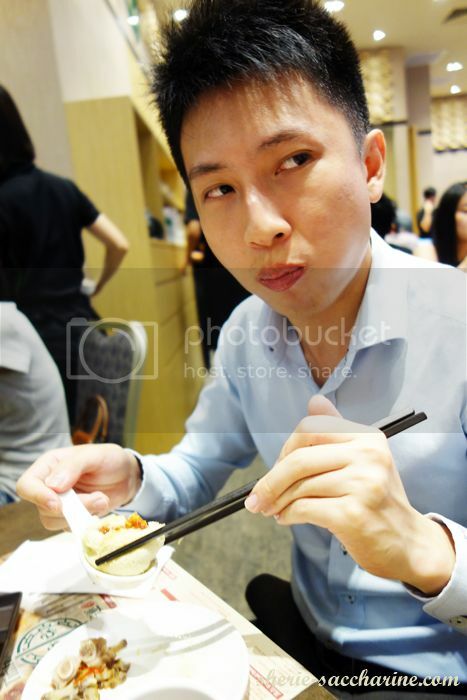 And the boy certainty does not welcome distraction when he's savouring his favourite dim sum. 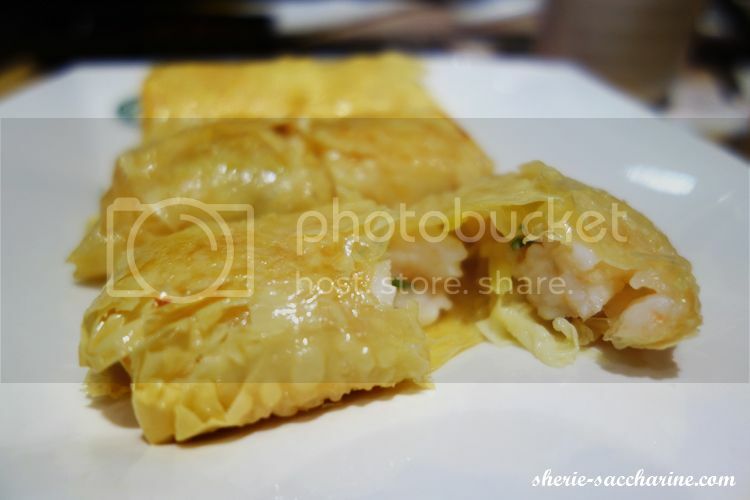 A simple dim sum made of popiah skin and egg whites but it becomes my favourite due to its simplicity and very very crispy skin! I love cutting a big piece of this and pop it into my mouth and feel it glides through my tongue. The skin is really thin and smooth. Surprise! Pig liver is another Heavenly King of THW. The soft sliced livers were not overcooked and it does not have the pungent smell that most non-liver eaters are scare of! Another creative dish that chef came out with. 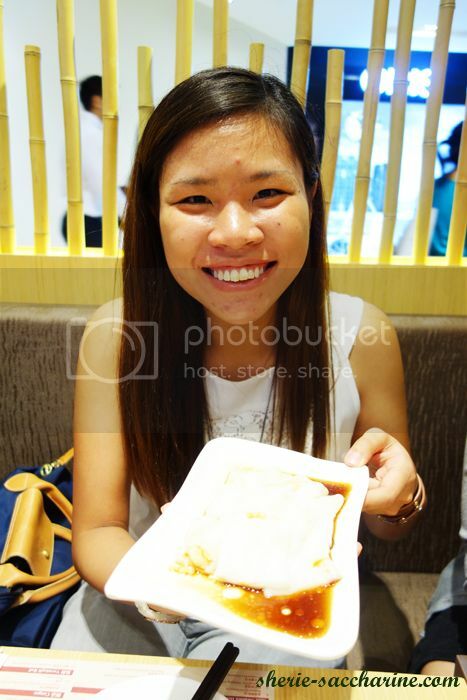 See how happy is YW with her Vermicelli Roll with Shrimp. 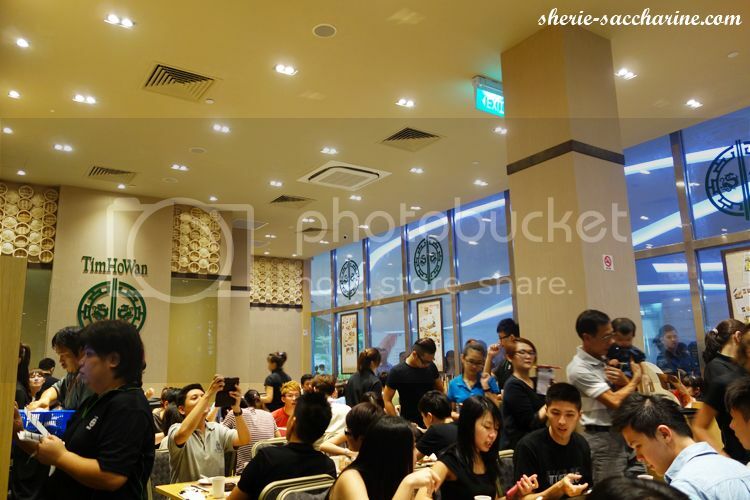 I guess the restaurant wasn't expecting such overwhelming response in Singapore and a lot of food and takeaway boxes were OOS at mid-day! 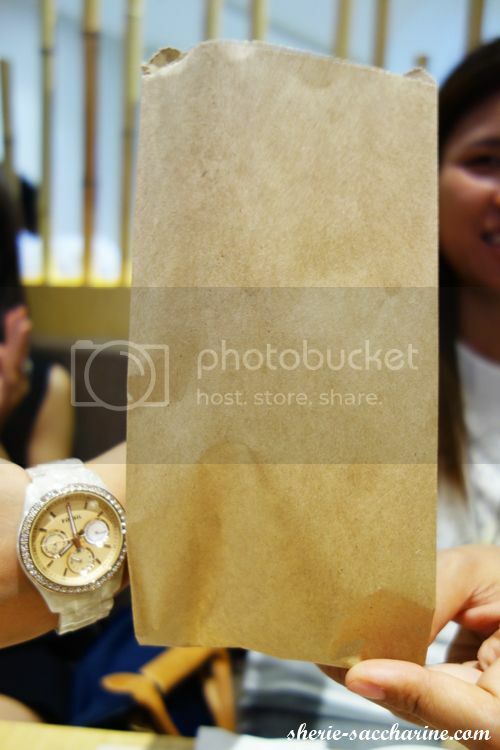 Poor girls got to takeaway their bun in the flimsy paper bag which required them to make their best efforts to prevent any dents on the buns when onboard a heavily crowded, MRT/bus. 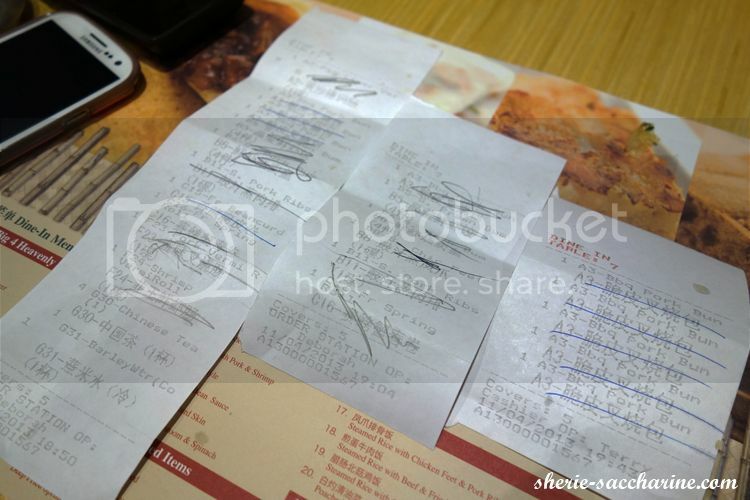 Here's our total orders for the 1.5 hours dining experience. 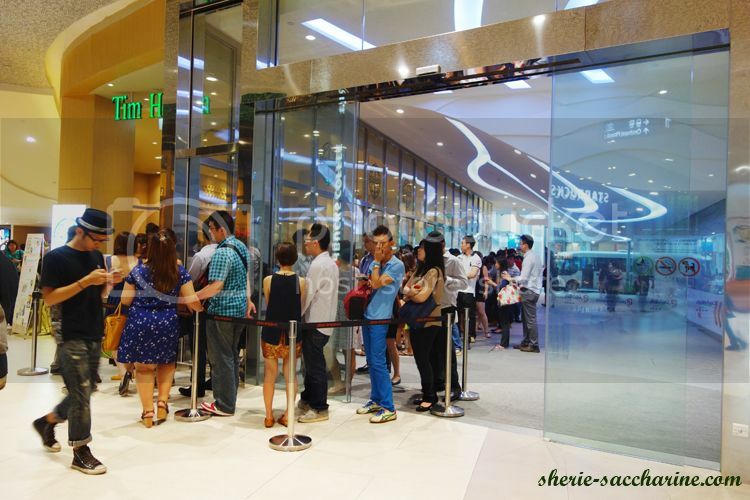 At 8.20pm, the queue continue to worm itself outside the restaurant, and we gotta queue at the counter just to pay up. I believe that the overwhelming response had made them decide to close the takeaway counter at the side of the restaurant. 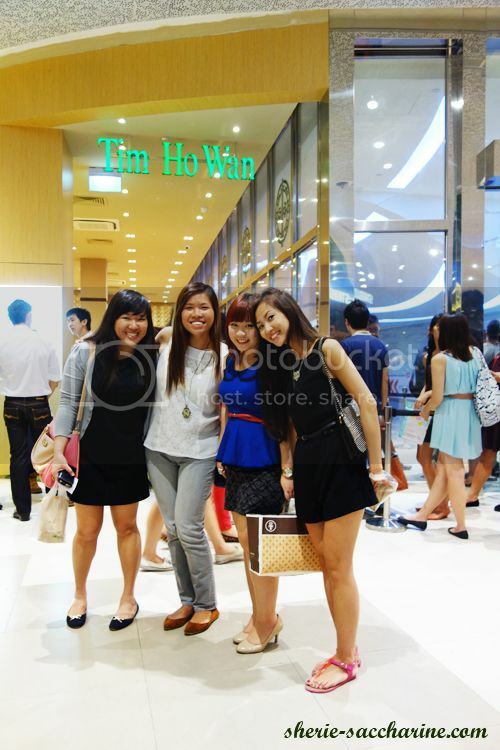 Time to take a touristy shot with the TIM HO WAN signboard! So is THW worth the rave? 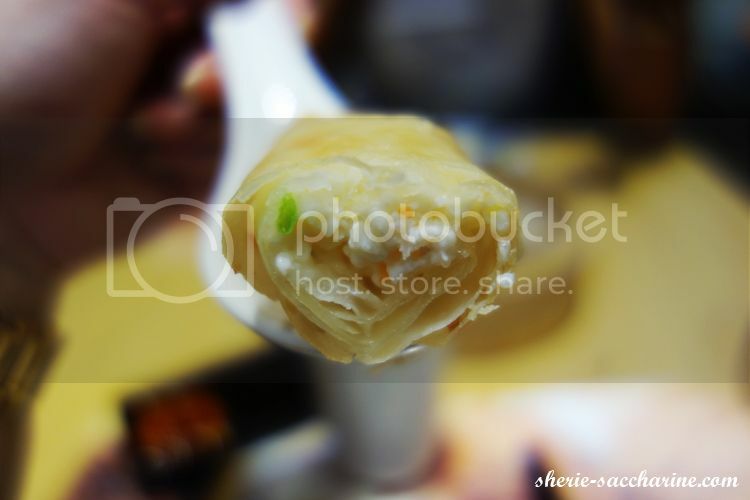 The food quality is good, ingredients are fresh and prices are reasonable for a cosy full-service sit down restaurant. However, many of its dishes are not ready to be served yet and it might not be wise to queue hours for cravings that can't be satisfied. 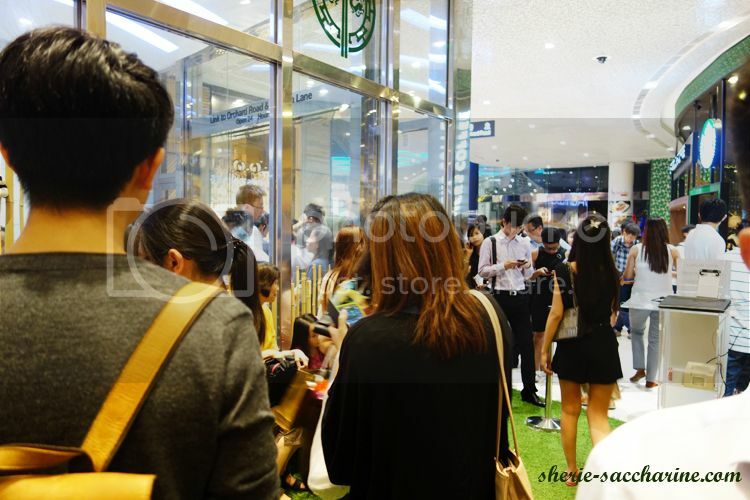 Just like Beilin and YW who were so disappointed at the "sold out" status of the Gui Hua Gao! So visit here when the craze is down and when the full menu is up! 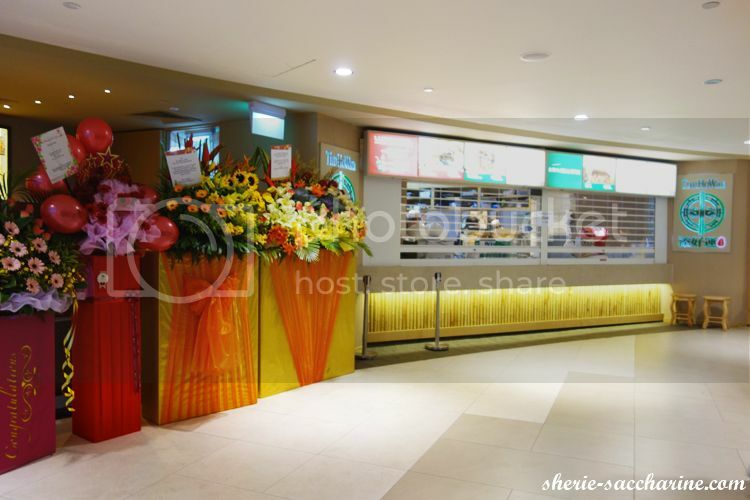 Also, THW will be opening their second branch at Toa Payoh in July, before adding 4 other branches by end of 2013. Be patient!